This is the time in your baby’s life when there are a lot of firsts happening. First real smile, giggle, teething, repeating sounds, turning over, sleeping through the night (if you are lucky 😉 ) and the list can go on. There are several products at this stage that we absolutely needed, used and loved. I will include the links to the products that are still available or newer alternatives at the end of the blog. 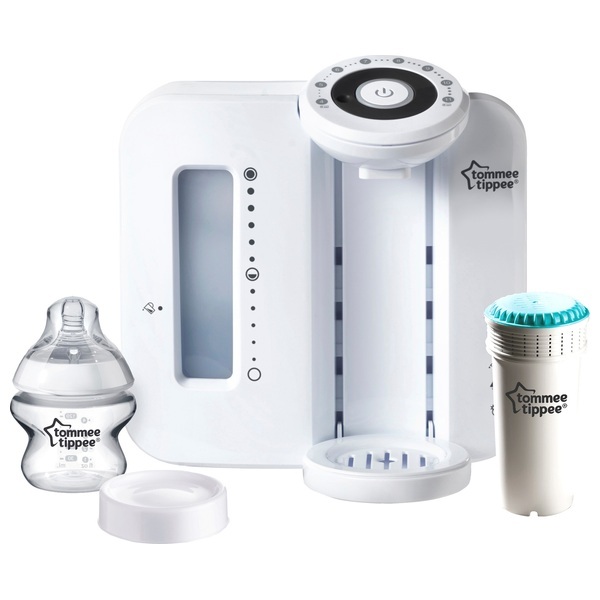 Tommee Tippee Closer to Nature Perfect Prep Machine. With my first son, I used to make the bottle at the time when he needed it. It took time and caused quite a lot of frustrated tears of waiting for a bottle. When my sister-in-law purchased this machine for her last baby I thought it was a waste of money until I actually tried it. Now I cannot imagine how I ever lived without one. My breast milk disappeared after a bout of high temperature when my son was approximately 10 weeks old. So I needed to move him to a formula. With a four-year old demanding attention this made life so much easier. 2. Baby gym – any one would do. 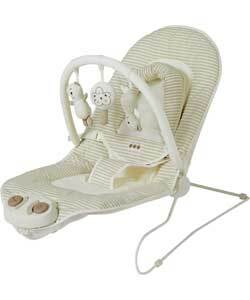 The one that I have is the Mothercare Safari play gym with arch from which you can hang different toys from. This gym was used for my eldest and now for my youngest. It still looks brand new and is very easy to wash. The soft edges mean that his head is cushioned and if he bangs his legs down it won’t hurt. Also if you have hard floors it is a bit insulated so your baby is not cold. Both of my sons are quite sturdy little men and are tall and strong. Both of them also at this age loved to bounce. As they are quite heavy, my 5 month old is in 9-12 clothing, jumperoo is irreplaceable. Any time that he gets bored this is definite to entertain him. I actually have two, mamas and papas one that my eldest son got as a present (no longer sold) and an Ingenuity Cozy Kingdom Cradling Baby Bouncer that we inherited from my sister-in-law. These are quite different in that the first one is quite flat and doesn’t restrict the movement, while the other one is more cosy and supportive. We actually use both, I have the mamas and papas one in the kitchen for when I need to make food and he is getting restless and the other one in the living room and he loves sitting in it especially if someone is sitting next to him such as my eldest son and sometimes it gets used for giving him a feed. At the moment he is trying to sit up and this chair allows him to lean forward but prevents him from falling out. 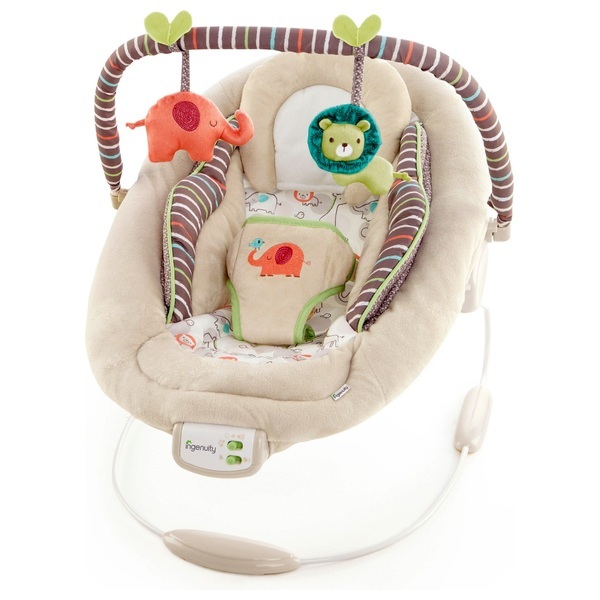 Our playpen is Babylo Safari Friends Playpen 2-in-1. 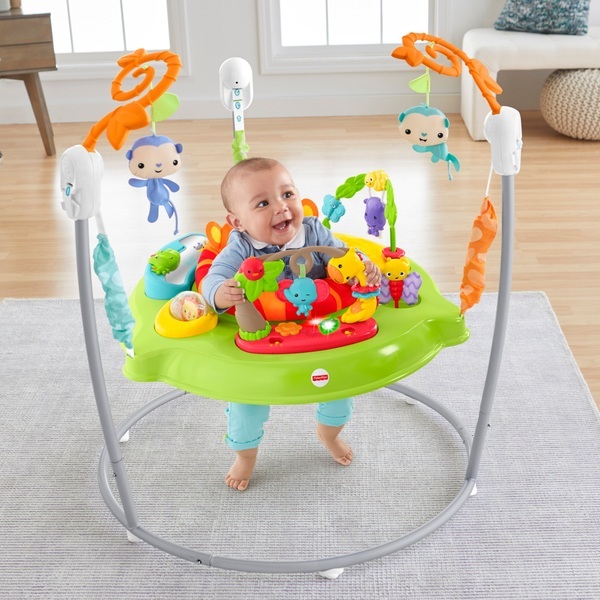 I love this playpen as it allows my baby to roll around in a safe environment and is irreplaceable especially if you have older children around who love playing with small toys. I also use it when I need to do some cleaning around the room or need to pop into bathroom. 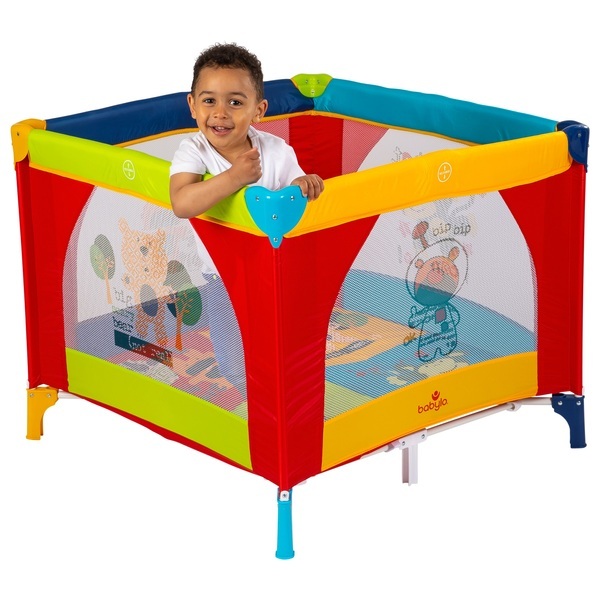 We chose this one in particular as we wanted to have a bigger playpen than normal travel cots plus it is very colourful and my son loves looking at pictures at the sides.